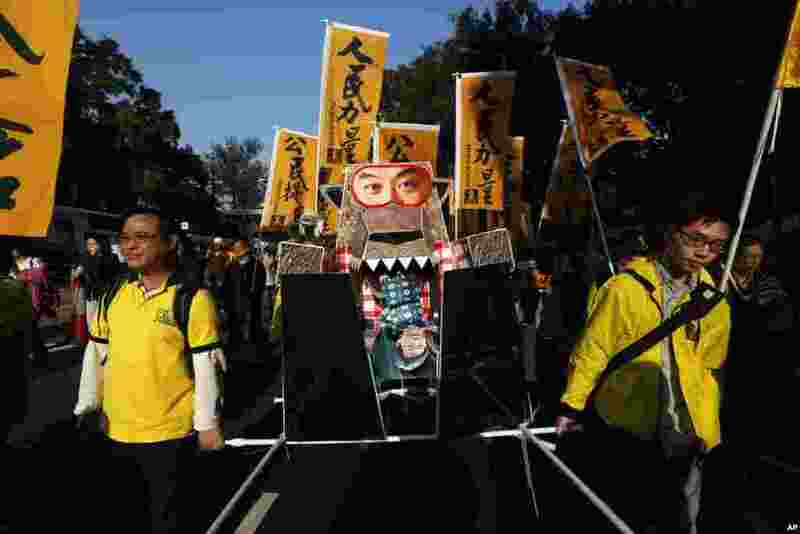 1 Protesters carry an effigy of a wolf representing Hong Kong's Chief Executive Leung Chun-ying march during a demonstration in Hong Kong, Jan. 1, 2014. 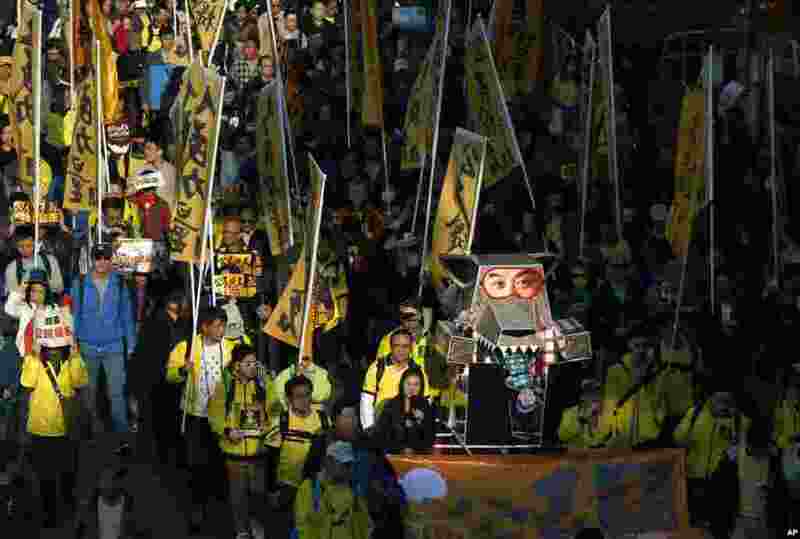 2 Thousands of protesters were in the streets, some of whom were holding an effigy of a wolf representing Hong Kong's Chief Executive Leung Chun-ying, Hong Kong, Jan. 1, 2014. 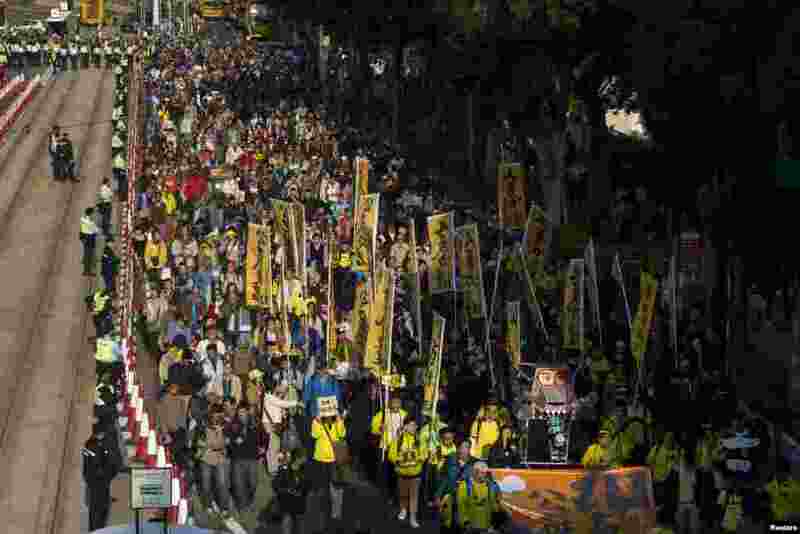 3 Thousands of pro-democracy protesters march in the streets to demand universal suffrage and urge Hong Kong's Chief Executive Leung Chun-ying to step down, Hong Kong, Jan. 1, 2014.